Metals maker Alcoa has announced a $1 billion contract with Airbus that will see the company produce bolts, nuts and rivets used to hold a variety of aircraft together. 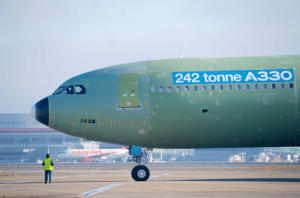 The massive deal, which is its largest-ever fastener deal with Airbus, comes just one week after Alcoa said it would be splitting into two companies. Alcoa’s parts will be used in jets including the A330, A320neo, and Airbus’ newest commercial plane, the A350 XWB. The plan is for Alcoa to eventually split into two companies, with the its aerospace and auto segments representing one company and its bauxite, aluminum and casting operations retaining the Alcoa name. Currently, Alcoa is doing well for itself as a manufacturer of lightweight metal and alloy products for aerospace and autos.